Japanese culture has the sense of “dou”. Some of “dou” are famous in the world. These “dou” have the same letter. These three are the same letter, Japanese kanji. We pronounce it “dou” or “michi”. It means way. Japanese use the word “dou” as street or road. And we use it as the way of learning. 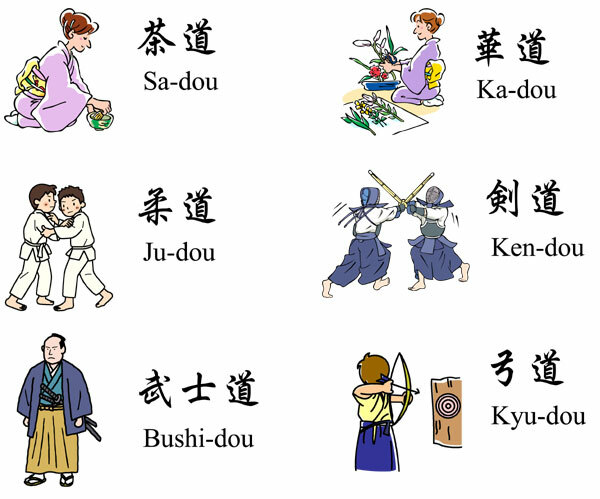 Dou is not limited in ju-dou, ken-dou, ka-dou, sa-dou, kyu-dou or bushi-dou. We use it as everything. For example, cooking, any sports, any arts, any studies, any jobs, any hobbies, any activities, any trainings and any other things about us. We use it as “hito no michi” which means how we should live better. Dou is the learning method with the special sense. Japanese understand the sense. It may be difficult to understand for other people. I describe it. 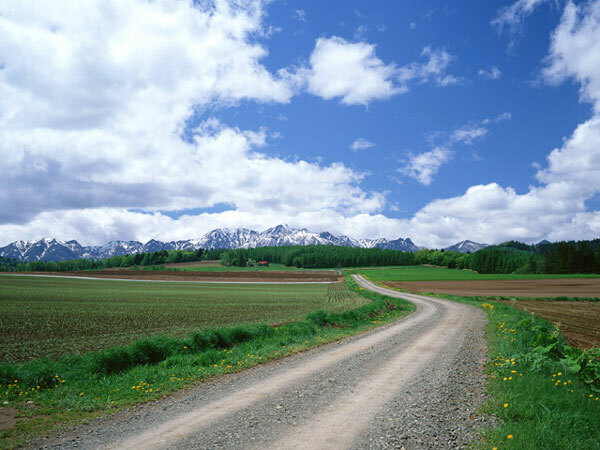 “Dou” means road or street which cars or people go on. Another meaning is the way of learning. I say it. 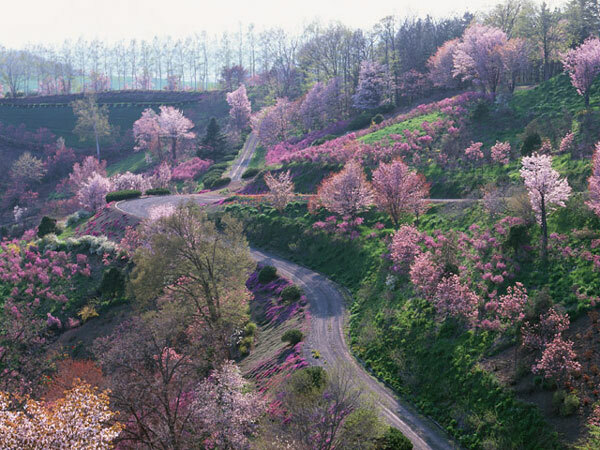 The way is long long way. Perhaps sometimes it has pleasure. The way goes up. Sometimes we feel tired. Sometimes we need rest. We go. It takes long long time. Perhaps some years or over ten years, or all over our lives. 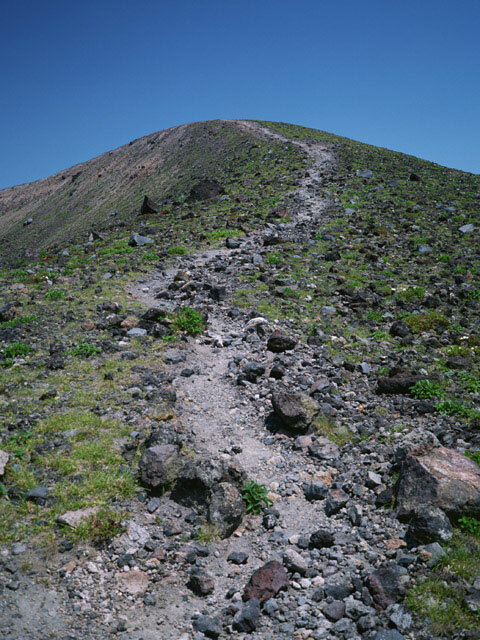 The way goes to the top of the mountain. It is very hard to go. We hope to get to the top. But few of us can arrive. If we arrive anywhere, we will get something great. 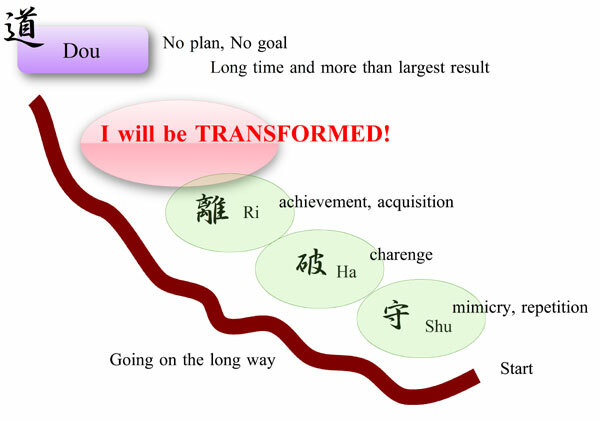 That is the image of dou as the way of learning. I tell it as learning. In modern society, most people take process with job, learning, study, activity and so on. Recently most Japanese think process. Old Japanese thought of dou. Everything is learning. Then we can do everything with dou. Process and dou are quite different. Process brings us limited skill or knowledge, which is set as the goal. Dou brings us skill or knowledge deeply and widely, and dou requires us human virtue such as modest, discretion, warmth, generosity and honorable humanity. Dou asks for us to develop ourselves as mature human beings.